(CNN) – Sears is getting out of bankruptcy in one piece. A bankruptcy judge approved the sale of most of Sears’ assets to a hedge-fund controlled by Sears Chairman Eddie Lampert for just over $5 billion. The judge’s decision keeps 425 stores open and saves about 45,000 jobs. 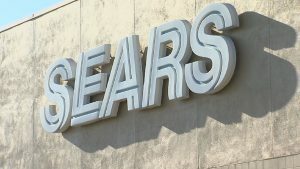 The judge rejected arguments from a committee of creditors, including landlords and major vendors, who urged the court to shut Sears down and liquidate its assets. Sears owes the creditors $3 billion. The creditors argued closing the company was the best way to return the most money to them. The creditors will now have to wait to find out how much they will get of the money they’re owed. According to previous cases, it will likely be pennies on the dollar.